Mavlab Direa Tablets 50 stabilizes the pH of the gut, protects the intestinal mucosa and helps to restore and maintain the balance of the intestinal flora. 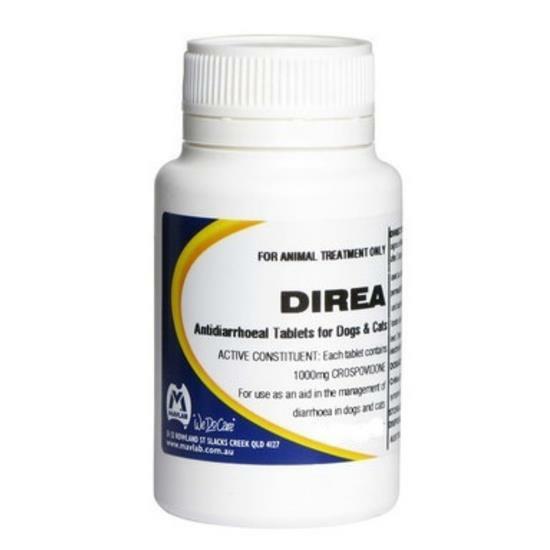 Direa Tablets stabilizes the pH of the gut; it protects the intestinal mucosa by absorbing toxins and maintains and restores the balance of the intestinal flora. It is insoluble in water. Aid in the management of acute or chronic diarrhea and gas caused by food poisioning, dietary changes, and bacterial overgrowth. A complement to oral antibiotic therapy. Use 1 tablet/10kg bodyweight twice daily for 3-4 days.